"Dave has been a fantastic addition to our team. His responsiveness, attention to detail, quality advise and organization has enabled us to make calculated financial decisions as a result of his expertise. My understanding of QBO was limited and through his one on one approach I was able to learn and interpret what the numbers actually meant along with information I never previously had access to readily available within seconds. Highly recommended for anyone out there looking to increase profitability and work with an accountant who actually cares." 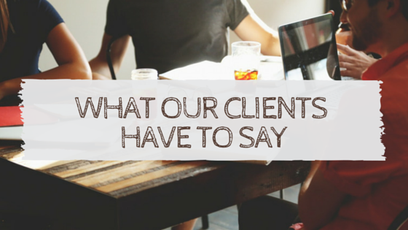 "David has really helped out our company deal with all the tax and accounting requirements for Small Business. He has the experience and knowledge to help any business keep on track. Thanks again for your help, Robert." "Since working with David, my accounting knowledge has increased dramatically and David has helped me increase my efficiency within the business as well as revenue and profits. Thanks for all your help!" Your Numbers Guy has helped me by improving my receipt management and taking care of my bookkeeping allowing me to focus on my core business. In a short time he has provided Quickbooks online insight and procedures improving my efficiency and workflow. A big thanks to Dave for helping me get control of my accounting and ultimately my business. 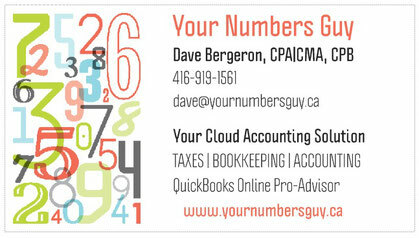 Dave (Your Numbers Guy) has utilized his expertise and QuickBooks online to provide financial support, record keeping, and advice in supporting our non-profit organization. He is highly communicative and knowledgeable in accounting and has been a huge asset in both our start up process and continued business. I highly recommend his services to anyone. Dave's financial advice is top-notch. The SECOND he starts to talk about business it's obvious he really knows his stuff. I can't recommend him highly enough! Dave is a professional CPA with experience in finance, operations, and process. As a business owner, he provided his skill to write a professional opinion report on a new venture I was considering and subsequently implemented. His attention to detail and thoroughness is top notch. He is excellent in working with small business and I would recommend him highly. Dave is a thorough professional, relentless in tracking down every last detail and making sure that there are no loose ends.